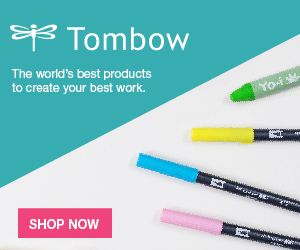 Looking for a simple gift to give a neighbor, teacher, or another person that fits into the “more than a casual acquaintance and should be given some kind of token gift” category? 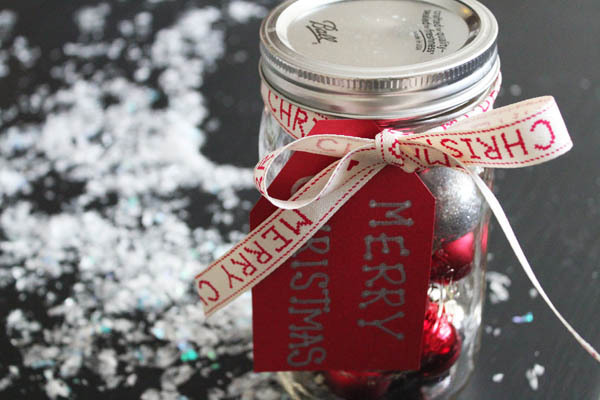 Have your kids help you whip up a super simple project like these ornaments in a mason jar. 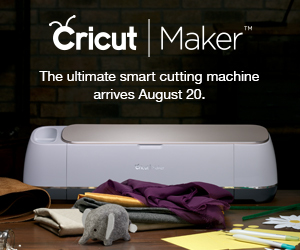 This project is so shamefully simple it probably doesn’t need a tutorial… but I’ll give you one anyway. 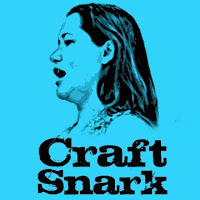 Because that’s what I’m doing all week… simple, fast, easy crafting tutorials for our Craft Lightning week. 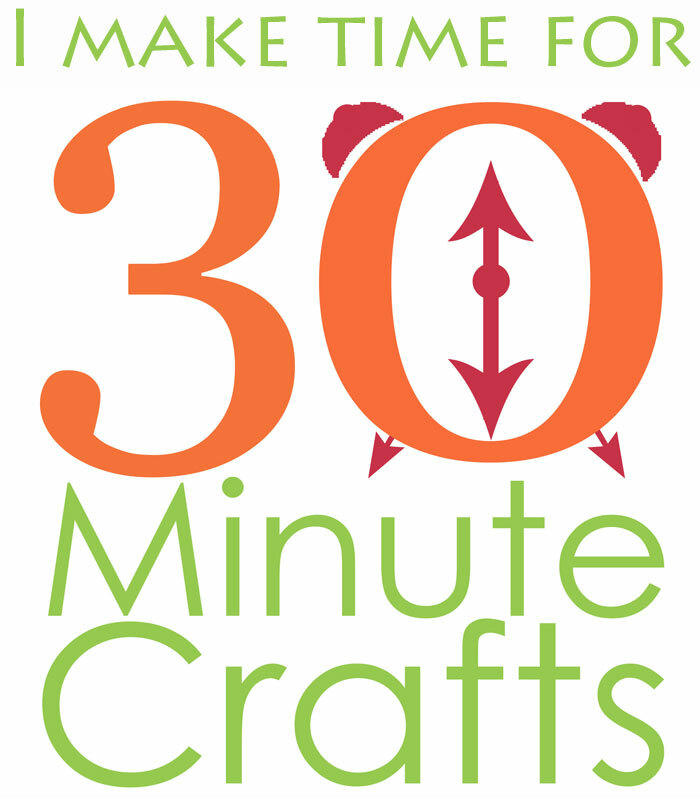 All week long, Angie from the Country Chic Cottage and I are sharing fast holiday crafts… and then each evening, we’re sharing fast holiday crafts from our blogging friends. It is fast crafting madness over here I tell you! This week we’ll be sharing over 50 fast holiday crafts… from ornaments to gifts to tags and more… we’ve got you covered. 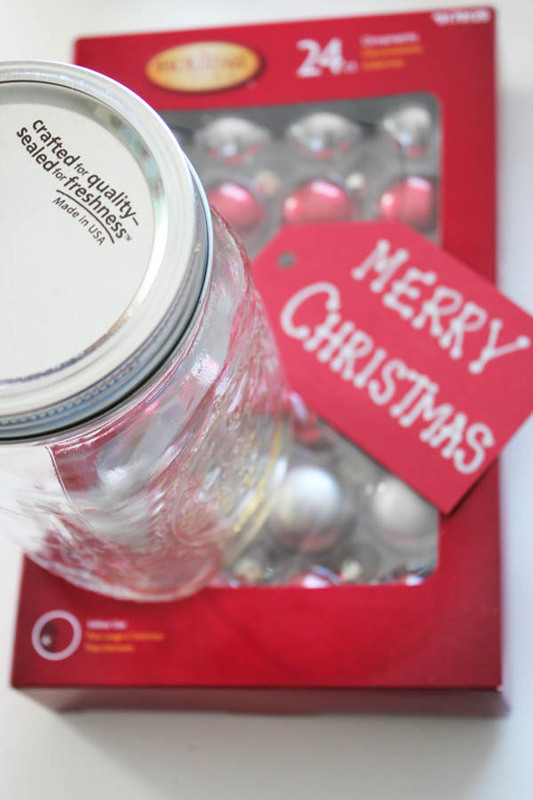 Carefully place the ornaments in the jar. You can try for a layered effect, but I like having them in the jar in a random order. 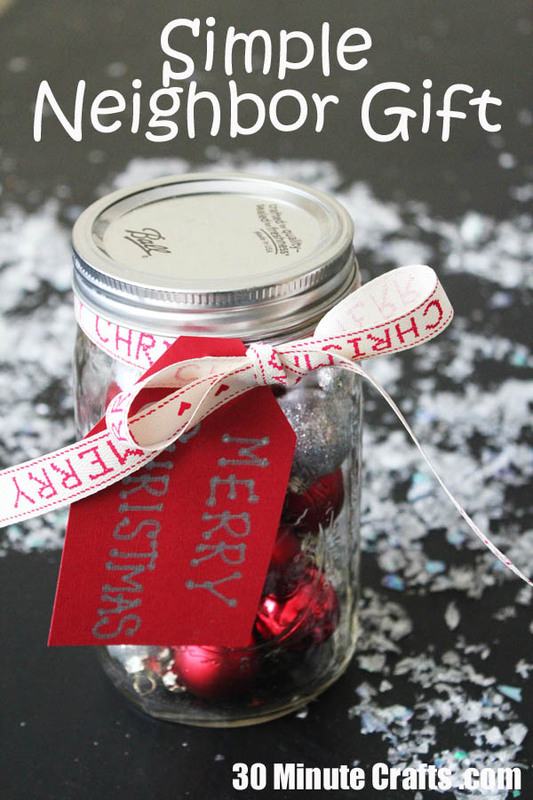 Attach the tag to the ribbon, and tie in a bow around the lip of the jar. 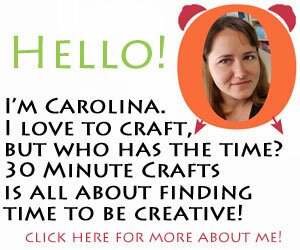 If you don’t have tags around, grab a rectangle of cardstock, cut off two corners and voila! A tag! Make sure to come back tonight for more fast and simple Holiday crafting ideas… Craft Lightning is going on all week long! And if you missed the beginning of the series, check out the Day 1 Roundup, my Felt Frame Ornaments, Day 2 Roundup, and my Gilded Block Ornaments.